Aired on Wednesday, July 19th. 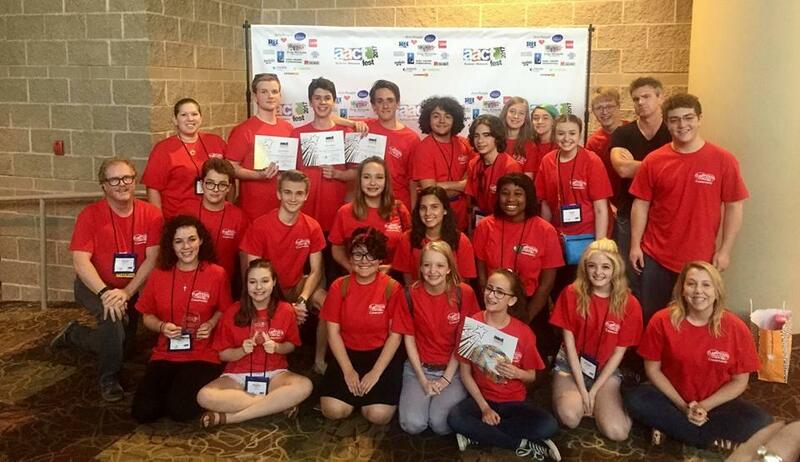 Earlier this summer, the Tulsa-based theatre company, Clark Youth Theatre, was honored to perform at the very first YouthFest during the American Association of Community Theatre's 2017 National Festival. Only a handful of youth theatre companies from across the U.S. were invited to participate in the festival, which happened in Rochester, Minnesota. At this special gathering, Clark Youth Theatre staged "Snow Angel," by playwright David Lindsay-Abaire, as our guest today tells us. Our guest is Erin Scarberry, Artistic Director of Clark Youth Theatre, who was born and raised in Oklahoma, worked for a number of years in the Chicago theatre world, and has been a staff member at Clark since 2007. Also on this edition of StudioTulsa, a commentary from Barry Friedman: "Iceland, Part 2." "Local Landmark, National Treasure: An Epic Concert Celebrating 95 Years of Theatre Tulsa"
Theatre Tulsa -- founded in 1922 -- is the longest-running local theatre west of the Mississippi River, and the seventh oldest in the United States. To mark its 95th anniversary, the company will present a special presentation this weekend at the Tulsa PAC. The show, featuring a cast of one hundred or more, is called "Local Landmark, National Treasure: An Epic Concert Celebrating 95 Years of Theatre Tulsa" -- and it will be staged June 23rd and 24th at 8pm, and then on the 25th at 2pm. Heller Theatre Company Presents "The Light Fantastic, or In the Wood"
On this edition of StudioTulsa, we learn about "The Light Fantastic, or In the Wood," a new play that will be staged by the locally based Heller Theatre Company tonight (the 19th), tomorrow night (the 20th), and Sunday afternoon (the 21st) at the Nightingale Theatre in downtown Tulsa, which is located at 1416 East 4th St. Our guests are David Blakely, who wrote this play, and Susan Apker, who is the president of Heller Theatre Company (or HTC). On this edition of StudioTulsa, an interesting chat with Basil Twist, the New York City-based puppeteer who was a MacArthur genius grant recipient in 2015. He has been universally acclaimed for his puppet-related design, construction, choreography, staging, and other work on productions such as "Symphonie Fantastique," "Dogugaeshi," "Red Beads", "Petrushka," "Hansel and Gretel," "Master Peter's Puppet Show," and so on. Tulsa's American Theatre Company and the Oklahoma City Repertory Theatre Present "Pryor Rendering"
On this edition of our show, we learn about a newly created original musical called "Pryor Rendering," which is being staged from today, the 13th, through Sunday, the 16th, at the Tulsa Performing Arts Center (at 2nd and Cincinnati). 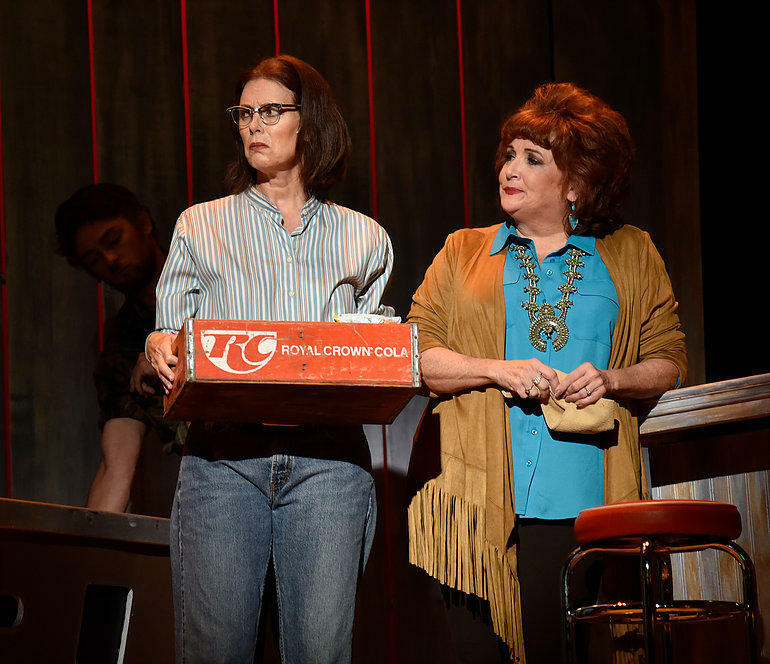 Tulsa's American Theatre Company has joined forces with the Oklahoma City Repertory Theatre and the University of Oklahoma to create this work. It's a coming-of-age story about a young boy who struggles with his loneliness, his sexuality, and his father's absence, and it's adapted from a novel by Tulsa native Gary Reed. The Playhouse Tulsa Presents "I Hate Hamlet"
On today's show, we speak with Courtneay Sanders, artistic director of The Playhouse Tulsa, which has recently begun its new season with a funny play called "I Hate Hamlet" by Paul Rudrick. The play will be staged in the Williams Theatre at the Tulsa PAC through Saturday the 14th.